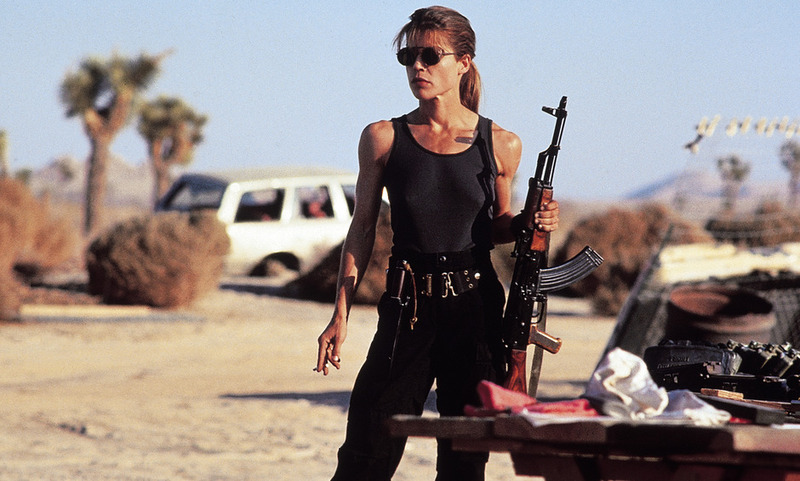 The Sorority of Cinema Badasses consists of five women who have made varying but vital contributions to action heroism from the 1970s to the present day. It is a steely nod of respect to some of the all-time greats, because as hard as it is to make it as an actress, it is doubly hard to make it as an action heroine. These women include Sigourney Weaver, Pam Grier, Michele Yeoh, Linda Hamilton and may we introduce you to the woman who inspired this article in the first place – Zoë “The Cat” Bell. You may not know Zoë Bell, but you have seen her— at least, the back of her—in action, defying death and annihilating henchmen. She is quite simply Hollywood’s coolest stuntwoman, best known for her work on Kill Bill: Volumes 1 and 2 and Catwoman. To read the full feature on the Sorority of Cinema Badasses click here to order your copy of issue #4.